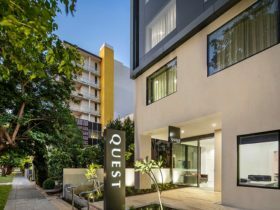 Best Western Northbridge Apartments in Perth offers visitors to Perth relaxed and comfortable serviced apartments, mere minutes from some of Perth’s key entertainment establishments. Available to guests are modern one, two and three bedroom apartments that boast a fully equipped kitchen and laundry facilities, private balcony or patio area and spacious lounge and dining areas. 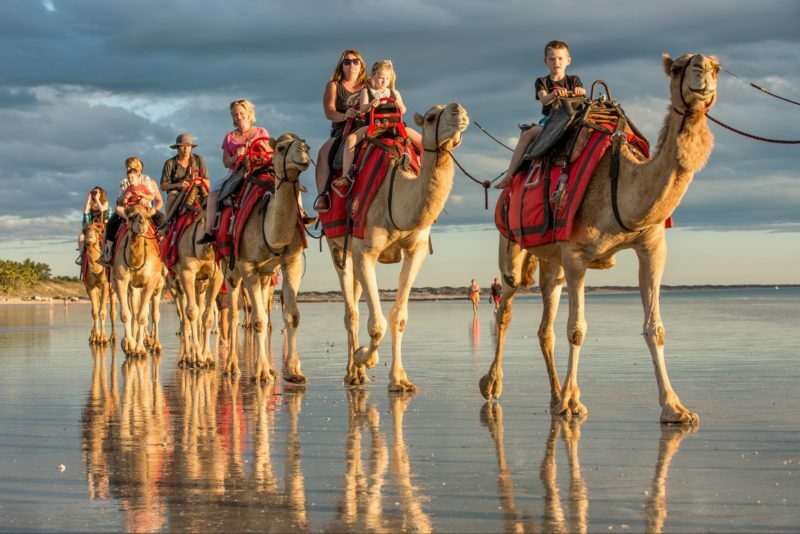 Onsite there is an outdoor pool and spa and guests also have access to an off-site gymnasium and local restaurant chargeback facilities. 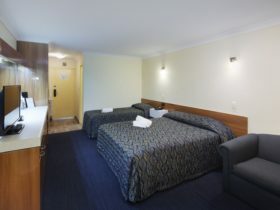 Make Best Western Northbridge Apartments your base from which to explore this cosmopolitan corner of the city. 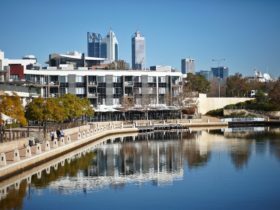 Northbridge is the heart of Perth’s social scene and within a short distance of the hotel, guests are spoiled for choice with a variety of galleries, cafes, bars, nightclubs, markets and restaurants. 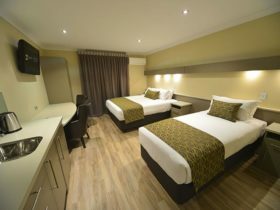 The hotel is also close to the CAT, Perth’s free local transport, as well as RAC Arena, Kings Park and other Perth attractions. All apartments are modern and comfortably furnished and include: a fully equipped kitchen, laundry facilities, separate living room and complimentary unlimited, high-speed Wi-Fi. 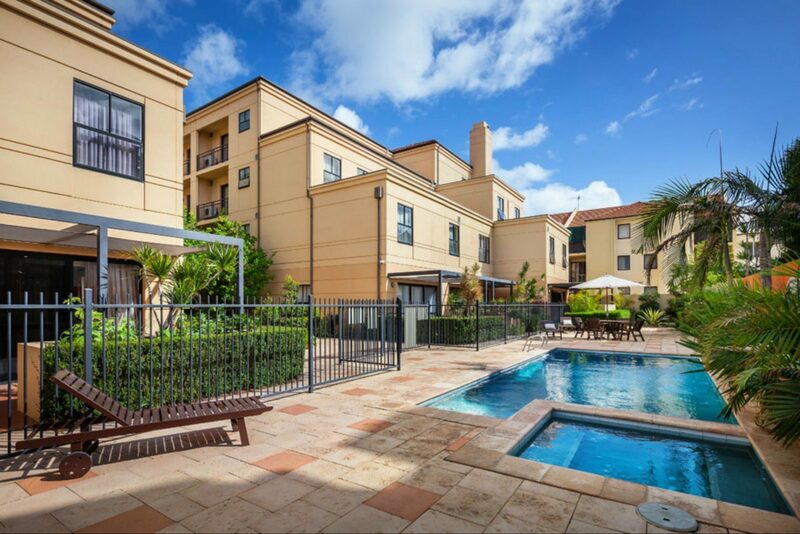 These apartments offer guests even more room with a larger lounge and dining room. 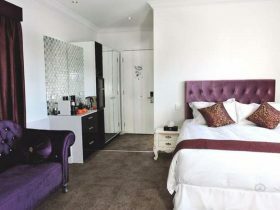 The Two Bedroom Executive Apartment has a king sized bed and two single beds across two bedrooms. Maximum occupancy is five people. The One Bedroom Apartment has a king sized bed and maximum occupancy of three people. 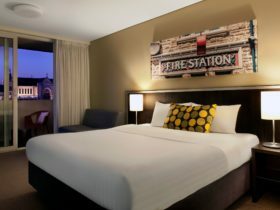 Each room offers a private balcony or patio area. The Two Bedroom Apartment has a king sized bed and two single beds across two bedrooms. Maximum occupancy is five people. Three Bedroom Apartments have a king sized bed and four single beds, with a maximum occupancy of six people.